Crucial for the choice of a family-friendly ski resorts are large slopes, snowparks, good ski schools and reliable childcare. The renowned German ski guide DSV-Skiatlas evaluates the ski resorts according to family friendliness. We have summarized the results and present you here the best skiing areas for families. Alta Badia: "3 ski-kindergarten. Beside of the hilly St. Kassian all villages in Alta Badia are appropriate to smaller children. The hotels are all family-friendly and the slopes are doable also for laymen. The offer with ski-kindergarten and skiing courses is good, too." Kronplatz: "Comfortable cable cars, 2 big child-parks, rolling hills and large slopes guarantee that the little ones learn to ski with pleasure. Very family-friendly are the villages Olang and St. Vigil." Gröden: "In every valley-villages there are ski kindergarten and child-care-clubs. The main street passes over the village-centres. But car-free is only St. Ulrich." 3 Zinnen Dolomites: "3 ski-kindergarten. The tree-free and mostly easy and middle difficult slopes are ideal for kids, the ski schools are very committed and the cable-car-staff is always helpful. The further offers with the adventure swimming pool Acquafun in Innichen, with car-free centres and playgrounds are OK."
Meran 2000 /Ultental: "3 ski-kindergarten. The villages are lovely, the accommodation family-friendly and in the ski-kindergarten and ski-schools the kids are in good hands." Rosengarten/ Latemar: "2 ski-kindergarten. The slopes are large and the ski schools and ski-kindergarten look affectionately after the kids. Who finds a accommodation close to the slopes, for whom is the region perfect for the family holidays." 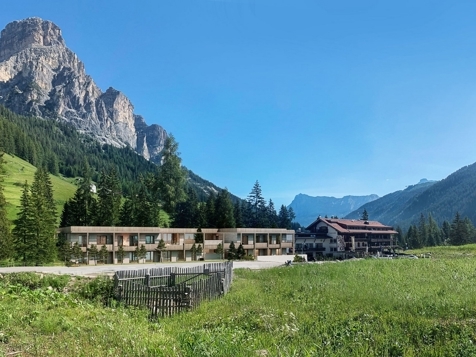 Schnalstal: "Kurzras is car free, the easy slopes are in close to the villages and the good child care make Schnalstal Valley be a ideal family destination." Sterzing/Eisacktal: "The traffic in the villages is limited, the middle difficult slopes easily doable also for children." Skiworld Ahrntal: "2 Mini-Ski-Clubs. The Tauferer Ahrntal is an ideal ski resort for families. The most slopes are easy or middle difficult, children under 9 years ski for free."